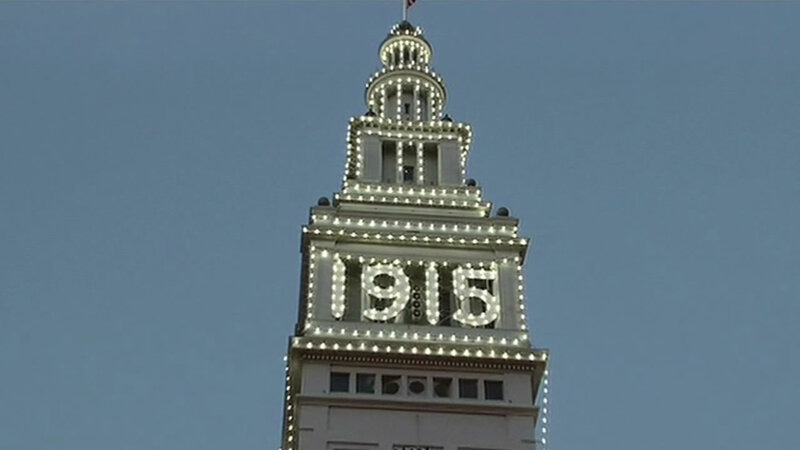 SAN FRANCISCO (KGO) -- The San Francisco Ferry building has been lit up in orange for the Giants, and red for the 49ers and now the iconic building will be lit up just like it was when the World's Fair opened in 1915. Workers were atop the clock tower Tuesday making final preparations for the evening's lighting ceremony. Nearly 1,100 LED lights will be used. Two light beacons will glow with a 1915. Nineteen million people passed through the Ferry Building on their way to the World's Fair 100 years ago. The lights will be up through December.